The Harmony Arch of Carpenter Street marks the entrance to the Kuching Intercultural Mooncake Festival. Organizer : Federation of Kuching Division Community Associations and the Old Market Community Association. At night the Carpenter Street comes even more alive with Kuching Intercultural Mooncake Festival. Getting Here : The parking will be an issue around Carpenter Street as spaces are limited, most will prefer to park at the basement carpark at Plaza Merdeka Shopping Mall and had a short walk to the streets (which is just 100 meters away). Other options includes Taxi and e-hailing services such as Grab Car. Watch performances from different races and cultural background along the streets. Taste local favorite food and drinks , including native rice wine (tuak). Purchase pretty handicrafts to support the local handicraft industry. Involve in lantern making, coloring contest, lantern riddles and many more. Visit various landmarks along the Carpenter Street, which includes the Gateway, Chinese Shop houses, Murals, Temples and more. Don’t forget to take a memorable photos with your friends and family. The Carpenter Street is packed with people during the festival. Another view at the carpenter street. More than 100 stalls had been set up along the street selling various food, drinks, desserts, lanterns, ornaments, handicrafts and mooncakes. Halal foods is also available here. It was also termed as a mini Kuching Festival Food Fair where some of the tenants of the Kuching Fest is also available here. One of the stall selling beautiful lanterns at the festival. The Colorful Mooncakes featuring appearance of a local traditional multilayer cake. Also known as Old Chinatown of Kuching, Carpenter street is one of the famous tourist attraction in Kuching City where it has history dates back to Sarawak’s pre-colonial Brooke era. The shop houses along the street preserves its unique classical Chinese architecture with many of them are inherited for generations. Carpenter street as the name suggests, is also known for its classic hand made wooden and rattan furniture, but it is also a slowly disappearing profession. The main landmark of Carpenter Street is the Harmony Arch (亲善门）, the huge Chinese gateway beside the General Post Office Building. There is also Chinese Temple with beautiful dragon roof sculpture. Do visit the local coffee shops, hawker stalls, hardware stores, furniture shops, general stores, jewelry stores, souvenir shops, electrical stores and more around Carpenter Street. Lau Ya Keng Food Court of carpenter street is one of the famous Chinese food court here. The delicious Chinese sausage on a pot of heated up stones. The local food at the festival. A dog statue ornament at a fruit stall. During the 8 days long festival, there are cultural performances such as Dragon Dance, Chinese Opera, Orang Ulu boat lute (sape) performance and Malay drums (begendang) performance. The traditional dayak dance performance. The streets is fully packed with visitors and tourist from local and international everyday. Walking along a lantern lit street with street booths on both sides is occasionally faced with challenges by the non-stop stream flow of crowds. The lantern riddle at the festival. 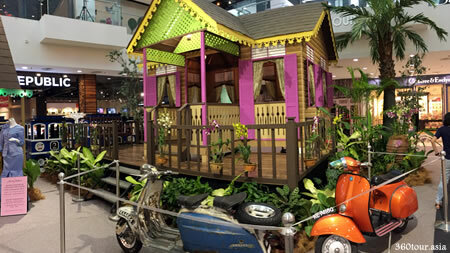 The lantern making competition falls on 17th September 2018, and the creations is available for public display at Plaza Merdeka Shopping Mall ground floor during the length of the festival. Be amazed by all these creative lanterns as some of them are product of cultural fusion between different traditional lantern making art of Sarawak. The lantern making competition is open to all races and cultural backgrounds. This makes the competition more interesting than usual Chinese lantern competitions. Some of them doesn’t fit in the criteria of a classical lantern designs, but who cares, creativity have no limits. Visitors love to take photos besides these unique lanterns. The display of the lanterns from the lantern making competition. 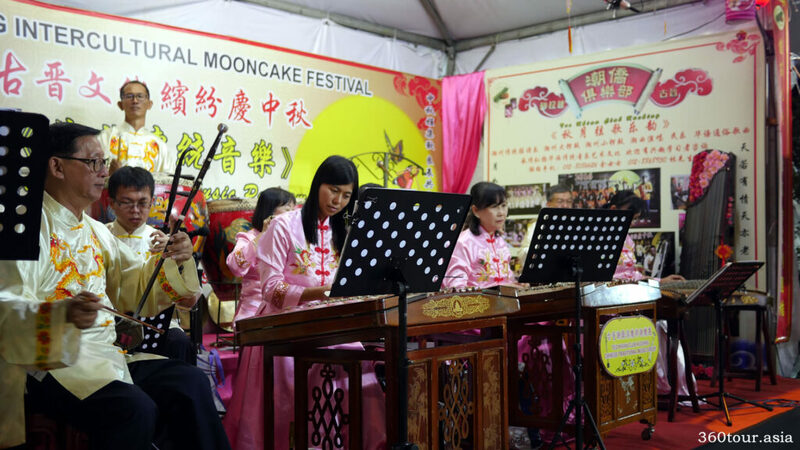 If you missed the Kuching Intercultural Mooncake Festival this time, don’t worry, it will be back every year like it has always been. Remember to bring friends and family here next time.